Scientists have obtained the first image of a black hole, using Event Horizon Telescope observations of the center of the galaxy M87. The image shows a bright ring formed as light bends in the intense gravity around a black hole that is 6.5 billion times more massive than the Sun. This long-sought image provides the strongest evidence to date for the existence of supermassive black holes and opens a new window onto the study of black holes, their event horizons, and gravity. Credit: Event Horizon Telescope Collaboration. Courtesy of Event Horizon Telescope. From Albert Einstein to Stephen Hawking, it was said that capturing a photograph of the black hole was physically impossible. As of April 10, 2019, the Event Horizon Telescope captured light being sucked into the void. Containing such a strong gravity field, black holes absorb everything in their surroundings, including the weakest rays of light. This specific black hole, however, is one of the strongest known by mankind and the image depicts light, gases, and even stars being dragged to the point of no return. This is an astounding triumph for all humans, as we gain visual evidence after decades of scientific research. Harvard University professor Ramesh Narayan stated, “to finally see a black hole in action, bending its nearby light into a bright ring, is a breathtaking confirmation that supermassive black holes exist and match the appearance expected from our simulations.” The unprecedented image was revealed in press conferences in six capital cities: Washington, Brussels, Santiago, Shanghai, Tokyo, and Taipei. The supermassive black hole is cited to be in the center of a galaxy cluster 55 million light years away, and is 6.5 billion times bigger than our sun. And to be honest, it’s impossible to even wrap my own head around these insane numbers. The Event Horizon Telescope project began 10 years ago and was first proposed by professor Heino Falcke from the Radboud University in the Netherlands. The project involved the combined effort of eight massive ground-based radio telescopes situated in Chile, Mexico, Spain, Hawaii, Arizona, and the Antarctic. On September 26, 2014, 43 male students from a teacher’s college were kidnapped by corrupt local police officers, disappearing in Iguala, Mexico. The students were on their way to commemorate the 1968 Tlatelolco Massacre. Although official reports are contradictory, regarding those who orchestrated the attack in the first place, it has been confirmed that the 43 students were murdered by a local crime syndicate. It is rumored that the Mexican army, as well as the mayor of Iguala, masterminded the abduction. In commemoration of this massacre, infamously dissident Chinese artist Ai Weiwei recreated the portraits of the kidnapped students with one million Lego bricks for his latest show at the University Museum of Contemporary Art in Mexico City. The collection is entitled Reestablishing Memories (Restablecer Memorías) to create a counternarrative of “the whole truth” against the injustices and loose ends of the established report. 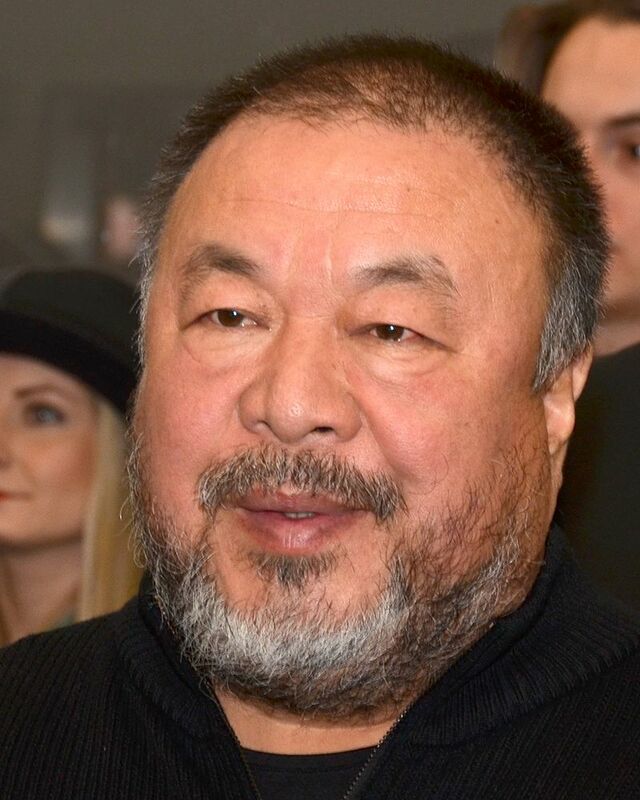 Ai Weiwei is no stranger to criticizing the institutional oppression of governments. In 2010, the artist was under house arrest for supposedly constructing his studio in Shanghai without authorization and alleged tax evasion. This incident coincidentally coincided with his project in an attempt to reveal the neglect of the State and cover-ups surrounding the Sichuan earthquakes in 2008 that killed thousands. This year, photographer John Moore wins Photo of the Year while Pieter Ten Hoopen takes Story of the Year. The photographs of both winners documented the plight of Mexican immigrants attempting to cross the border into the U.S.
John Moore’s winning photograph is that of a Honduran toddler crying as she watches her mother’s aggressive full-body search by immigration officers prior to being taken into custody. Moore said, in an interview with the British Journal of Photography, that “in this politically-charged environment in which we live, almost every photograph that unites emotion from those who see it will be controversial.” Having traveled to over 60 countries as a photojournalist, Moore has focused on the issue of the U.S. border since his return to the country in 2008. Meanwhile, the new addition of the category Story of the Year has been awarded to the Swedish photographer Pieter Ten Hoopen and his project for on the migrant caravans that gathered at least 7000 people, including over 2000 children, on its way from Honduras to the States. Shot in soft colors, Hoopen “wanted to look for empathy in the work...using a topic that everyone can relate to, which is love.” Born in the Netherlands in 1974, Hoopen documented the humanitarian crisis in 2004 throughout Sudan. Inaugurated by ICP and London-based publisher GOST, the Photobook Awards is calling for entries from unpublished photographers to celebrate the works of both emerging photographers and any new or unseen work of photographers at any stage of their career. Winners will not only have their winning work edited, designed, and distributed by ICP/GOST, but will receive an exhibition at ICP in New York. The open call for submissions runs until September 2, 2019. In order to provide a platform for working artists and photographers to receive recognition, the award is not asking photographers to create a “dummy photobook”, which is both time-consuming and expensive. Instead, ICP/GOST are requesting to see the “raw” body of work and collaborate on the choice of design later on. Not only does this open up doors for many struggling artists and photographers, but the judges can now select the winner from a wider pool of candidates. Published on March 26, Freemuse’s latest annual report “The State of Artistic Freedom 2019: Whose Narratives Count?” provides a pessimistic report on the status of international censorship and increasing restriction of artists’ freedom. As one of the world’s leading independent international organizations, Freemuse advocates for and defends the freedom of artistic expression and their rights. Throughout 2018, there were 673 documented cases of violating artistic freedom in over 80 countries, with the imprisonment of at least 157 artists. The report states that the primary reason for rejection and censorship was the expression of alternative political beliefs and criticizing the ruling body. Turkey was the considered most severe in both punishment and censorship of dissident artists, especially if you remember the case of Zehra Dogan. With even more bad news, Freemuse also reported (unsurprisingly) that women, the LGBTQ community, and ethnic minorities remain the most vulnerable to violence and lack of freedom. In such tumultuous times, countries are also guilty of misusing anti-terrorist rhetoric to silent dissident artists.